Sometimes the simple pleasures in life come to you when you are watching someone else enjoying a simple pleasure. 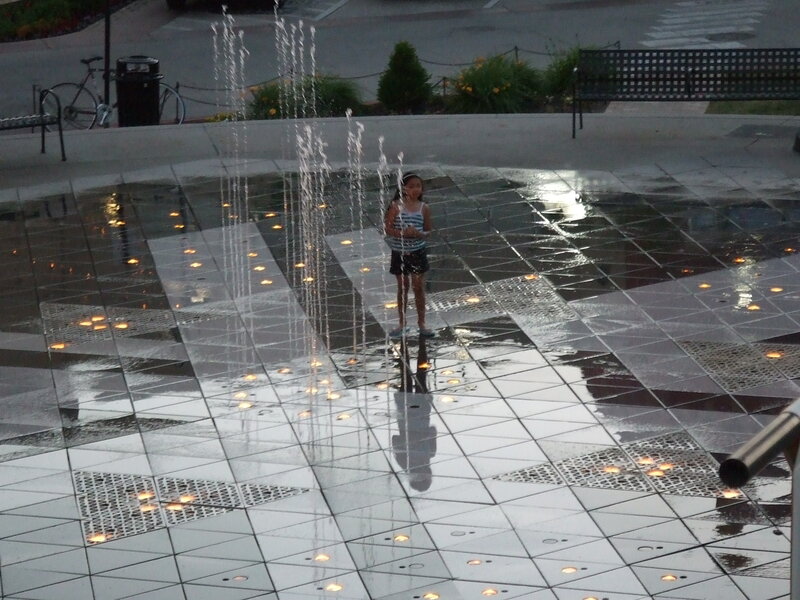 While on vacation in Salt Lake City, Utah, we spotted a young girl darting playfully across a large outdoor fountain. 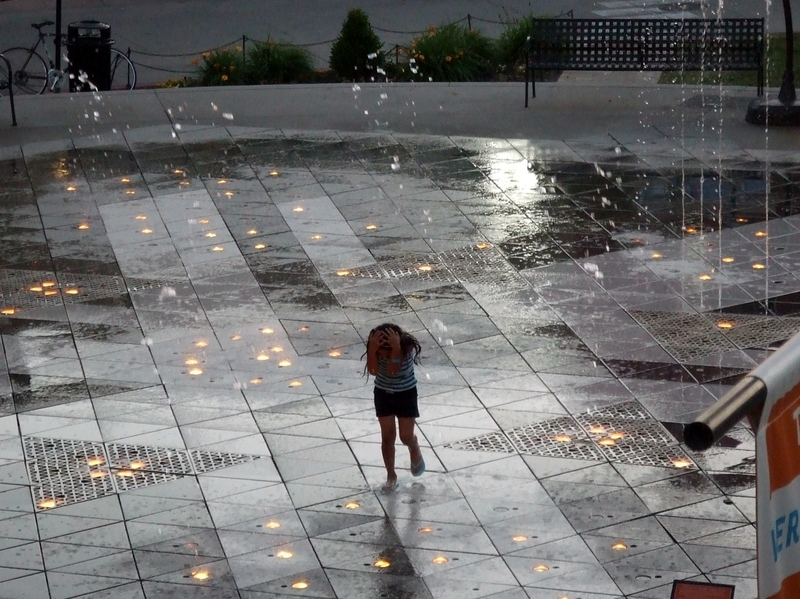 As the seemingly choreographed jets sent water straight up, the girl would run across the fountain to stand in another spot. She seemed to be playing a cat-and-mouse game with the fountain, as if it were very much alive! I couldn’t resist taking these photos to capture the moment, as my husband and I, too, got caught up in the game. I found myself reminded of my own daughter at that age. What fun!